German authorities in Cologne banned several rallies planned by a pro-Kurdish group, NAV-DEM, to coincide with Turkish Prime Minister Binali Yıldırım's scheduled meeting with German Chancellor Angela Merkel. 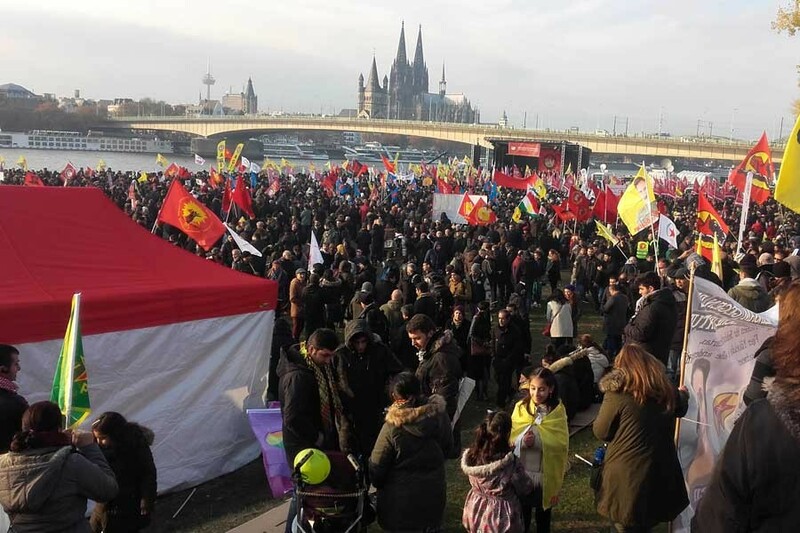 According to the Cologne police department, demonstrations planned by NAV-DEM for Thursday in Cologne and Leverkusen were prohibited because of the group's affiliation with the Kurdistan Workers Party (PKK), which Germany recognises as a terrorist organisation. Cologne police said in a statement that the likelihood of the demonstrators carrying PKK flags was a factor in their decision. Cologne police department told the group that future applications for events would be denied as well. NAV-DEM last month launched a campaign against Turkey's ongoing Afrin operation in northern Syria and was planning to hold demonstrations across Germany. The co-chair of NAV-DEM, Ayten Kaplan said the ban could be Germany's attempt to appease Turkey ahead of the Turkish prime minister's visit. Turkey and Germany have been trying to improve relations that quickly deteriorated following Turkey’s arrest of Die Welt journalist Deniz Yücel a year ago. Turkey, on the other hand, has long criticised German authorities for tolerating PKK activities and called for Berlin to take stricter measures against the group. Almanya'da NAV-DEM'in gÃ¶sterilerine artÄ±k izin verilmeyeceÄi bildirildi. KÃ¶ln polisi PKK baÄlantÄ±sÄ± gerekÃ§esiyle iki gÃ¶steriyi yasakladÄ±.